A Dartmouth woman who is a not a Canadian says she wrongly received a voter information card. Dartmouth resident Joan Helson is wondering why she received a voter information card in the mail when she's not a Canadian citizen. "It's the first time in over 33 years that I've received a card and I've been living in Canada since I was three," Helson told CBC Radio's Maritime Noon. Helson, who is not a Canadian and is not eligible to vote, has gone online and confirmed she is a registered voter. She said two of her friends who are not Canadian have also received the card. The card advises people to take it and a piece of ID to a polling station to vote. Helson is concerned new residents of Canada whose first language is not English may get the card and think they can vote. "Given the Fair Elections Act and what I feel is the creation of two-tiered Canadian citizenship, where some Canadians have the right to vote and others don't; suddenly you've opened the door, inadvertently or otherwise, to non-Canadians having perceived rights to vote when other Canadians do not," Helson said. 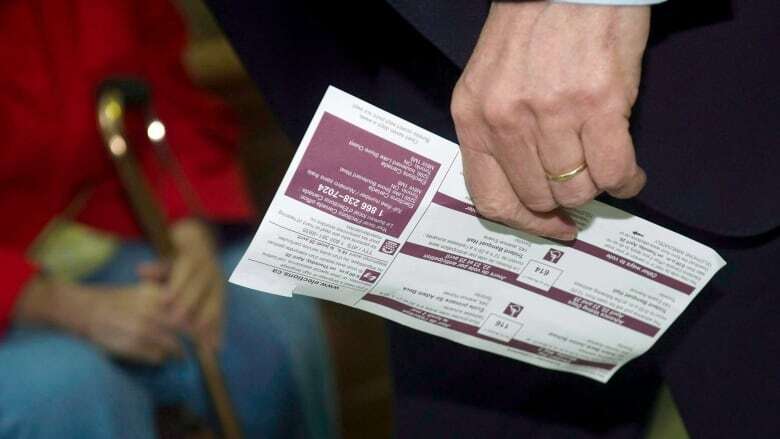 More than 26 million voter information cards are issued in the span of two weeks, according to Elections Canada spokesperson Francoise Enguehard. "Clearly errors can occur and the case before us is one of those," she said. The voter registration list is compiled using a variety of sources, including Canada Revenue Agency (if you've given permission) and provincial sources such as motor vehicle registries and vital statistics. Enguehard says 14 per cent of the list is updated every year. Non-Canadians could be on some of those lists and that's how they may have appeared on the National Register of Electors, according to Enguehard. "[Voting] is an honour system," she said. "There has never been a requirement to prove citizenship at the polls and we depend on people doing the right thing." She acknowledged that hundreds, if not thousands of ineligible people who receive voter information cards could cast a ballot, but says there are signs posted "everywhere" at polling booths telling people they must be a Canadian in order to vote. She said penalties for illegal voting include a fine of up $20,000, up to a year in jail, or both. She urged anyone who incorrectly received a card to call Elections Canada and report it.